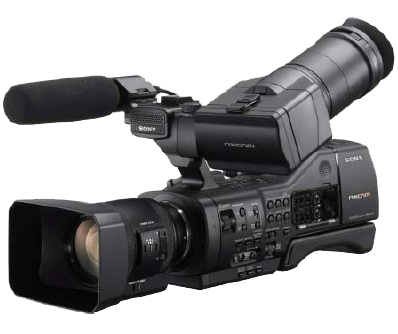 The PMW-150 is a compact camcorder with three 1/3-inch-type Full-HD sensors. 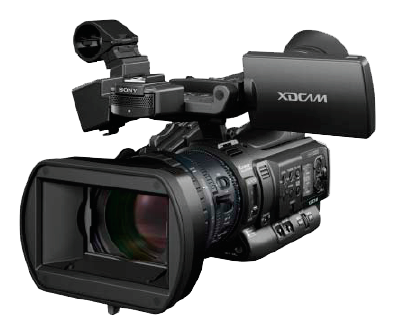 High-quality, Full HD MPEG HD422 at 50 Mbps recording capability in MXF format – widely accepted in broadcasting stations and production houses – helps boost user creativity in many different applications, including news gathering and documentary production. Full control of shooting parameters for high quality acquisition. Independent focus, zoom, and iris rings enable precise shooting in many circumstances. In addition, by using the CBK-WA01 optional wi-fi adaptor, iris, zoom, and focus can be controlled remotely – ideal when using the camcorder at a distance. Also, genlock In and time code In/Out interfaces simplify multi – camera configurations. High-quality MPEG HD422 50 Mbps recording is fully compliant with the latest EBU recommendations for long form broadcast production and is widely accepted in broadcasting stations and production houses. 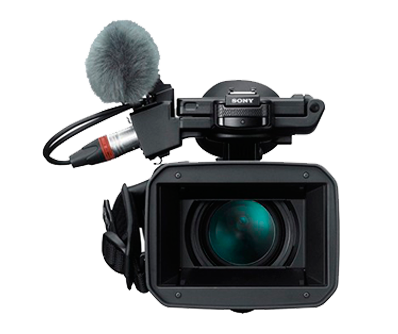 This capability ensures the PMW-200 is ideal for a wide range of different applications, including news gathering and documentary production. The NEX-EA50EH is a professional NXCAM Camcorder with a large format Exmor™ APS-C HD CMOS sensor and interchangeable E-mount lens system providing exceptional creative freedom when shooting both Full HD movies and high-quality still photos. It is supplied with the newly developed SEL18200PZ18-200mm Power Zoom Emount lens providing auto focus, continuous variable iris and Optical Steady Shot™ image stabilization with Active Mode, making it ideal for shooting moving images. Filmmakers can achieve a constant zoom speed and smooth slow zoom, both of which can be difficult to accomplish with manual zoom lenses. An innovative design with an extendible shoulder-pad allows you to switch between handheld and shoulder mount operation as required, with no need for additional accessories.